Saturday night will see the first Sky Sports Bellator broadcast as part of the promotion’s recently announced U.K. television deal and Head of Bellator Europe Dave Green believes the platform could see the promotion become the dominant MMA brand in the continent ahead of the UFC. After Friday’s announcement, the news ran throughout the day on Sky Sports News, the most viewed sports news channel in the region, which gave Green an initial insight to how much of impact the broadcaster can have on Bellator’s brand acknowledgement in the U.K. and Ireland. Sky Sports has been a coveted network for many MMA promotions over the years, including the UFC, and Green is confident that Bellator securing a deal with the premier sports broadcaster in the U.K. and Ireland is massive sign of intent from the organization in relation to the region. “Other leagues have been pushing hard to get on Sky, as have I in the past, and it’s been pretty much a closed door. We’ve been working hard to get us here. Channel 5 does one thing for us, it allows us to access a huge audience and it’s a great platform, but there’s something about being on Sky Sports that legitimizes the sport,” said Green. With the new deal in place with Sky Sports, Green is confident that Bellator can become the flagship MMA promotion in Europe. 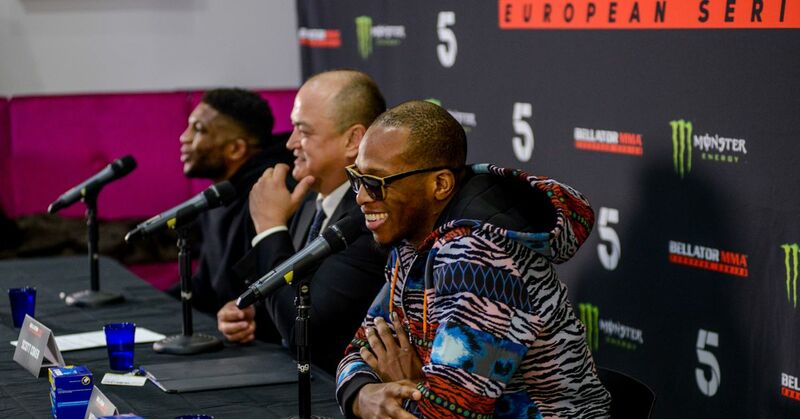 After Bellator answering the calls from the European masses to secure a television deal, Green urged everyone that is interested in the sport to tune into Bellator 216: Paul Daley vs. Michael Page—one of the biggest all British fights ever—on Sky Sports this weekend to show the network how many fans there are in the region. “If you were ever going to ask everybody to get behind the sport, not just Bellator, tune in on Saturday night to Sky Sports and show them that there is a genuine strong following for MMA in Europe. [Sky Sports] is kind of the knight in shining armor here by coming in and putting on this show for us, if we can get behind this and show our support, it’s great for everyone,” he said. Check out the latest episode of Eurobash. The Dave Green interview begins at 5:00.